ADO.Net is ActiveX Data Objects which is very important feature of .Net Framework. ADO.Net framework work with data with set of classes to handle data access by connecting with databases and and XML files. 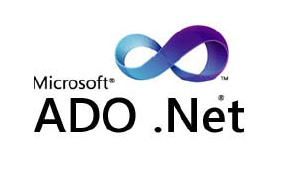 What are the different components in ADO.NET? What is the namespace that has the data functionality class in .Net? What is difference between dataset and datareader? What is use of System.Data.SqlClient and System.Data.OleDB ? What are the methods provided by the command object and what is the use of command objects? What is the use of data adapter? What is the Data Adapter Object in ADO.NET? What is DataTable in ADO.NET? What is the DataReader in ADO.Net? How can we close connection object after my data reader is closed? How can we use stored procedure in ADO.NET and how can provide parameters to the stored procedures? How do you fill the dataset? What is the Connection object in ADO.NET? How can we check which rows have changed since dataset was loaded? What is basic use of “DataView”? How can create a SqlConnection? What is the difference between “Dataset” and “Data Reader”? How many ways are there to implement optimistic locking in ADO.NET? What is difference between Dataset.Clone() and Dataset.Copy()? Can you explain the difference between an ADO.NET Dataset and an ADO Record set? How can do pessimistic locking?